3D printing has done it again. 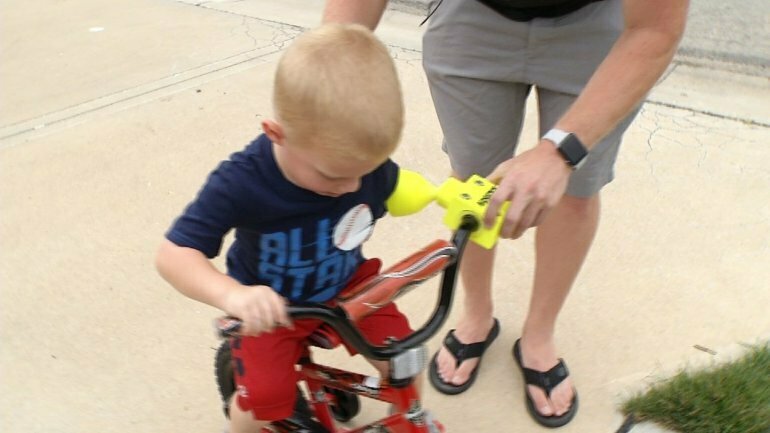 Hudson Borton, 3, is an ordinary boy from Shawnee, Kansas, except for one thing, he is missing a hand. Thanks to 3D printing, Borton was able to enjoy one of his favorite birthday gifts, a new bike. The technology was used to print him a new left hand and forearm. Enter the “Fab Lab” at Metropolitan Community College. Two instructors and student David Valdez used a 3-D printer to create a hand to make it easier for Borton. It took less than two days from designing the product to finishing it up. “I was so full of joy because I was so happy I could help out someone in the real world,” Valdez said.